Converting from spreadsheets to a CMMS for maintenance planning and control is another move toward digital tranformation. 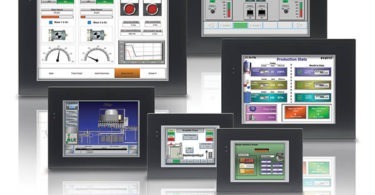 A CMMS can jump-start your plant’s digital-transformation efforts and, in the most basic of terms, be a real time saver. 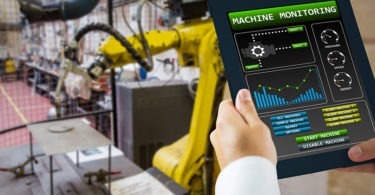 Digital transformation, i.e., the application of digital technology to all aspects of a manufacturing enterprise, has been reaching deep into areas of plant reliability. Many organizations, however, are still using spreadsheets to manage maintenance operations. Perhaps they don’t realize how much easier and more efficient that task would be with a computerized maintenance-management system (CMMS). Consider the following comparisons. Spreadsheet: Sharing a spreadsheet among multiple users can be problematic. It’s not uncommon for one person to accidentally lock a sheet, thus making it unavailable for editing by others. In this scenario, instead of entering necessary information quickly, users are forced to memorize it until the spreadsheet again becomes available. By the time data is finally entered, important details could have been lost. Since information within a spreadsheet can easily be overwritten, keeping historical data intact also can be tough. Historical data can be quite useful when it comes to business-intelligence reporting and decision making, so maintaining accurate information is crucial. For example, having repair history on a machine is crucial when it comes to comparing maintenance and repairs costs to the cost of a new machine. If no historical data exists, this comparison is impossible. Additionally, since time stamps within a spreadsheet must be set up manually, unless a user writes the date along with the information or creates a function to do so, it’s difficult to know when that information is entered. CMMS: Many usability issues inherent to spreadsheets are eliminated with a CMMS. Despite incorporating security controls that prevent unauthorized use, a CMMS cannot be locked accidentally. Based on a site’s particular licensing agreement, a CMMS will be available for use by authorized personnel 24/7/365, no matter who is logged into the system at a given time. This type of availability means users can enter information quickly, which helps eliminate human error. A CMMS is also an effective way to track historical data. (Various systems do this automatically.) History is easily stored and it’s easy to run reports with it. Time stamps are yet another advantage of using a CMMS. Not only are the date and time automatically recorded, so is the user. Thus, if there are any questions regarding repairs, the appropriate personnel can be quickly contacted. There’s no easy way to find this information in a spreadsheet. Spreadsheet: Locating inventory within a spreadsheet can be a time-consuming ordeal. Users will either have to rely on the “control find” feature—which only yields results that match the search term exactly—or they’ll need to scroll through seemingly endless rows of items. Moreover, since inventory can be difficult to find with a spreadsheet, it also can be easily duplicated by mistake. A user might try to find a specific item, easily overlook it, assume it has been used, and unnecessarily purchase another. Conversely, users might assume items are on hand when they actually aren’t, and not restock them on a timely basis. CMMS: With a CMMS, inventory control becomes markedly easier. Consider systems that allow users to locate items through a keyword search or by using various filters. Some systems offer a wildcard feature if the exact spelling of an item name isn’t known. Users can simply enter the first few letters, then search. The results will bring up items that start with those few letters. Another feature that helps prevent inventory items from being out of stock is automatic reorder. This feature allows users to set up a minimum amount for each inventory item. Once that number is reached, a purchase requisition is automatically created and sent to the correct person for approval. Compared to spreadsheets, a robust CMMS can make a site’s overall maintenance operations easier and more efficient. Spreadsheet: Creating work orders and preventive-maintenance (PM) tasks in a spreadsheet requires great effort. There’s no single acceptable way to do it, meaning users typically develop methods that work best for their respective sites. In general, though, each maintenance technician has a tab on a spreadsheet and his/her work orders and scheduled PMs appear on that sheet. A supervisor is in charge of entering all of the requests—an arduous process by itself. At the end of the day, the supervisor would have to go through the spreadsheet and confirm that every work order was completed. If work has not been completed, the row is moved to another sheet for work the next day. CMMS: The work-order and PM process is much more streamlined with a CMMS. Any authorized user can send in a work request. Once received, a supervisor simply clicks a few buttons to turn it into a work order and assign it to the proper technician. Upon receiving these work orders, technicians can make any necessary notes and close the work order or PM themselves, which, it turn, frees their supervisor’s time to complete other important tasks. Spreadsheet: Using spreadsheets on a smart phone can be extremely frustrating. Not only are the sheets usually unresponsive, trying to maneuver between rows and worksheets is very tricky. Translation: Spreadsheets can really only be used on a desktop, which limits their usefulness. Unfortunately, maintenance and operations personnel often need to note something quickly and accurately, but can’t because they have to trek back to a PC to enter information. By the time they get to a desktop, vital information can already be forgotten. CMMS: Today’s CMMS offerings frequently have mobile versions of their software. This gives users access to their systems virtually anywhere. Personnel can enter information, including photos, right from the plant floor, which helps ensure accurate data is entered into the system. More and more plants are jumping on the digital-transformation bandwagon. Converting from spreadsheets to a robust CMMS for maintenance planning and control is a good start. Cost. Any costs associated with maintaining a server, such as security and storage space, would be the responsibility of the third party, not your plant. Resources. Plants will not need as many dedicated IT professionals. Upgrades. When upgrades become available, they can be done automatically if the CMMS company hosts the software and data. Backups. Most CMMS companies provide data backups, so you won’t have to worry if yours somehow becomes corrupted. Information in this article was provided by Mapcon Technologies Inc., Johnston, IA. To learn more about a range of CMMS topics and solutions, visit mapcon.com.